In January, a couple of research studies were published in the Journal of the American Veterinary Medical Association (JAVMA) investigating the possible usefulness of dietary fish oil supplementation for treating the symptoms of arthritis in dogs. [1-2] I have previously discussed these papers in detail, but overall they were well-designed studies with mostly negative findings. However, the few statistically significant measures seen were generously interpreted as evidence for a beneficial effect of the treatment. A more accurate interpretation would be that no clear, consistent, meaningful effect was observed. Still, the few effects that were documented would justify additional research. 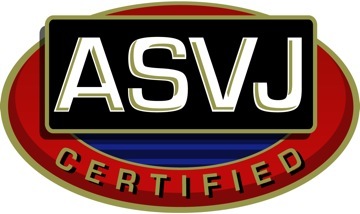 Ideally, this research would be conducted by different researchers since the group naturally has a bias in favor of the intervention they are studying, and a number of the authors of the JAVMA studies have institutional affiliations with the Hill’s Pet Food company which manufactures the diet with supplemental fish oil tested in the study, and this raises some possibility of a conflict of interest. However, the same research group has now published another study looking at fish oils as a treatment for canine arthritis, this time in the Journal of Veterinary Internal Medicine. This study was specifically designed to look for effects of varying levels of fish oil supplementation on subjective measures of arthritis. My first concern about this study is the background statement and introduction, which begin with the claim that “Food supplemented with fish oil improves clinical signs and weight bearing in dogs with osteoarthritis (OA).” The evidentiary support for this claim is twofold. First, it is supported by reference to findings in humans that fish oils may improve the symptoms of rheumatoid arthritis. There is some limited evidence that this may be the case (c.f. literature summaries available from the Agency for Healthcare Research and Quality, and Medline), however even if this were established, the relevance is questionable since this is a different disease in a different species. The authors acknowledge that “the pathophysiology of rheumatoid arthritis and OA differ,” but they let stand the implication that since both are inflammatory conditions, if fish oil helps one it might help the other. Plausible but very weak reasoning. The second major pillar of support for the a priori claim that fish oils are proven effective as a treatment for canine arthritis is, you guessed it, the two previous papers published by the same group in JAVMA. Obviously, given my review of these papers, I don’t consider that claim to be justified by those studies. So this study begins with the assumption the treatment works, and the hypothesis is then examined that since some helps more might help even more. Shaky ground to start from. As with the previous work, the study was soundly designed. 212 dogs were randomly assigned to eat one of three diets with different levels of fish oils but relatively comparable otherwise. The diet with the lowest level of fish oil (Diet A) was the same as used in the previous studies, approximately 0.8% EPA+DHA on a dry matter basis. Diet B had ~ 2% of the fish oils, and Diet C about 2.9%. There was no negative control (diet without supplemental fish oils). Subjects were allowed to use concurrent therapies, including NSAIDs and glucosamine, but no overall statistically significant difference in the rate of such usage was found between the groups of patients on the different diets. Dropout rates were moderate and higher for Food A than the other two foods (Food A-22%, Food B-13%, Food C-17%). The authors state that the inclusion evaluation data from dogs that did not complete the study did not affect the results. Owners and participating veterinarians were blinded to the treatment individual dogs were assigned to. The authors also measured the blood levels of a variety of omega-3 and omega-6 fatty acids for all subjects. Serum levels of omega 3 fatty acids increased significantly more for Foods B and C than for Food A, showing that greater levels in the food correlates with greater levels in the actual animal. Some omega 6 fatty acid levels were significantly lower in subjects eating Foods B and C, others were not. In terms of the 5 clinical evaluations done by participating veterinarians, all improved significantly over time for all diets except that the score for weight bearing did not improve for Food A. Of the 5 measures, 2 improved more for Food C than for Food A, and there was no difference between Food B and Food A. For the two subjective questions asked of the participating veterinarians, the answers showed a statistically greater improvement for Food C than for Food A, and again no difference between Foods A and B.
Sixteen adverse events were recorded, and of these 2 cases of vomiting and/or diarrhea were attributed to the intervention (one for Food A and one for Food B). What the other events were and why they were not considered related to the diets was not discussed. So, do fish oils effectively treat the symptoms of canine osteoarthritis? Maybe. Improvements were seen for all foods. The measures were subjective, and the two summary questions asked of veterinarians in the study were structured in a redundant and somewhat leading way, so there are some limitations in the reliability of the conclusions based on these. Interestingly, the authors claim these results are consistent with their previous studies, but this is not entirely true. In one of the earlier studies, no veterinarian clinical examination measures improved, and only 3 out of 39 possible data points for owner evaluation improved significantly. In the other study, none of the owner evaluations changed significantly, but 3 of 5 measures evaluated by clinicians showed improvement. An objective measure, force plate gait analysis, was used in this second study, and this showed no change from baseline for any of 6 variables but a significant mean improvement for 1 of the 6 measures. By contrast, in the current study only subjective veterinarian evaluations were used as measures of outcome, and these showed improvements in all variables for all foods. The authors point out that these improvements were “relatively modest” (aka small), but rather than attributing this to the treatment having only a modest effect, they attribute it to the insensitivity of their subjective measurement criteria. This is a bit odd since in medical research generally, subjective criteria are much more likely to show positive changes than objective criteria, even when there aren’t any real differences. The inconsistency in the results of the various trials is a cause for concern, as it suggests the criteria for measuring any possible treatment effect may not be reliable. The trials designed to see if the treatment worked found few and inconsistent positive changes in subjective measures and almost no change in objective measures. The trial designed to see if more worked better than less found that everything worked a little, but while the difference between the diet with 0.8% fatty acid content and that with 2% was not significant for any measure, the difference between 0.8% and 2.9% was significant for 2 of 5 clinical measures and both global assessment questions asked of the participating vets. And all of this is ignoring the potential biases introduced by having all trials done by the same research group and the association with a company manufacturing a commercial food used in all of the trials. This does not create a solid, consistent pattern of evidence to support the use of fish oils to treat canine arthritis. At best, it can be said that: the serum fatty acid level data indicates the fish oil changes the fatty acid profile of dogs in ways that would be desirable if the fish oil actually has clinically meaningful effects; there is weak evidence to suggest there may be some such effects, though small and inconsistent; and there is little evidence of short-term harm. All of this is useful data, of course, and generally the studies were well-conducted. However, the conclusions tend to be much stronger than is justified by the data, which is a reflection of the bias of the investigators in favor of the intervention they are researching. 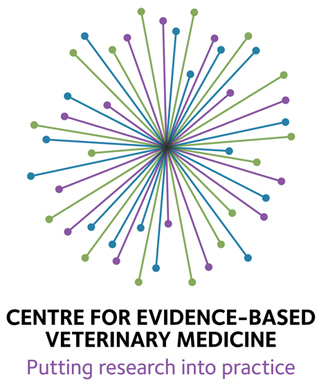 This is to be expected, but if a small group of researchers become the only source of clinical data on the subject, and if most vets read only the conclusions and don’t critically examine the studies and the results, it is likely to have an inappropriately large impact on clinical practices. I wouldn’t be surprised if fish oil for arthritis becomes the new glucosamine, and while I hope it turn out to work better than glucosamine does, that product had much the same kind of weak positive data from limited sources at the beginning as well, and now it has become a ubiquitous product despite subsequently stronger results suggesting it has no benefit. 3. Fritsch D, Allen TA, Dodd CE, Jewell DE, Sixby PS, et al. Dose-titration effects of fish oil in osteoarthritis dogs. J Vet Int Med 2010;24(5):1020-26. Its been years but when I looked at the Hills studies for their J/D the studies had not been blinded properly. You could tell which food was science diet and which food was other brands. So they randomized the study but did not blind the study properly since for example science diet food looks different than purina dog chow. Maybe they have correct that error in newer studies? May we look forward to studies of the effects of dog oil on fish, etc? or shall we just all settle for snake oil and have done with it? So the question remains: what is the best thing to do to control inflammation in dogs. Do we continue to try things like fish oil and hope for the best? or is there anything else that has a bit of hope with the least side-effects? Fish oil is inexpensive and pretty safe, so its fine to try, but the evidence doesn’t siggest we can rely on it. If the dog has significant arthritis or is clinically uncomfortable, non-steroidal antiinflamatory medications are effective and very safe. While they do have potential side effects, the risks are often exaggerated by proponents of alternative therapies, and the reality is that many dogs life happier, more comfortable lives on these medicines. Innes JF, Clayton J, Lascelles BD. Review of the safety and efficacy of long-term NSAID use in the treatment of canine osteoarthritis. Vet Rec. 2010 Feb 20;166(8):226-30.